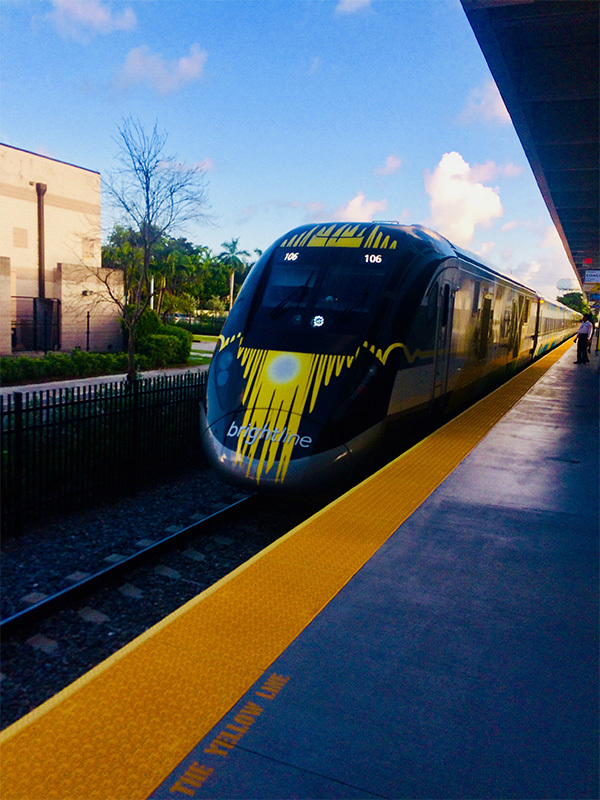 Because the UX is not limited to the connected world, if you go to Miami one day and you have to take the train, look no further: opt for the Brightline. This rail network has been able to include UX and the customer experience in its process and it makes the train ride extremely pleasant. The user experience, at the heart of more and more sectors, allows services to stand out from the competition. By putting people at the center of the process and empathizing with the user, Brightline knows how to stand out. Not only offering a Fort Lauderdale – Miami downdown ride for just $15, this service will give you a train experience you will not forget. Upon arrival, the staff is very welcoming. Here, no crowds, no jostling. In a very design manner, you register in 5 minutes and the staff takes care of your luggage for you. You just have to sit in the lounge and comfortably wait for your train. There is even a child section with games. All the staff is friendly , caring that you are not missing anything. When the train arrives, you are warned and just have to board. Once again, the staff comes to you to offer you something to drink. Funny thing, when the train starts, the employees on the platform wave “hello” to the passengers and wish them a safe journey. Let’s bet that this concept will serve as an example, it contrasts so much with the austere aspect of the current trains. To make a 360 tour of the train, it’s here.